Garlock® GUARDIAN® 306 EZ-FLO® spool-type expansion joints feature a self-flushing arch with an FEP lining fused to the body. The GUARDIAN® 306 EZ-FLO® is designed for the chemical processing and pulp and paper industries, where its ability to resist corrosive attack at normal or elevated temperatures and pressures is unequaled. Available with GYLON® 3545 gasket face for raised face flange connections. A gasket is not required on full face flange. FEP is compressible to achieve seal. Max temperature rating +300ºF, based on body and cover materials. Note: Pressure and vacuum ratings at neutral FF dimension. Extended face to face dimensions result in reduced pressure and vacuum ratings for GUARDIAN® Style 306 EZ-FLO® expansion joints. 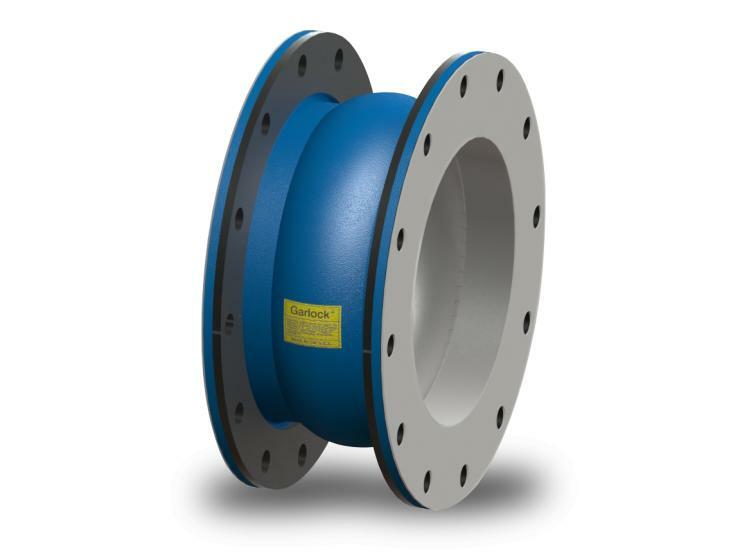 Tube – Seamless FEP lining extends to the outer edge of the flange; completely fused to the expansion joint body- Incorporates a flowing arch design to resist product build-up. A gasket is not required on full face flange. FEP is compressible to achieve seal.